Walking distance to shops/restaurants. Aquarium, Fisherman's Wharf, 17 Mile Drive, Cannery Row and famous golf courses nearby. Quality Inn Executive Rooms available. Access to indoor heated pool and hot tub. Air conditioning, in-room coffee, microwave, refrigerators, cable TV with VCR's and FREE high speed Internet access all rooms. Free deluxe continental breakfast. Suites available. 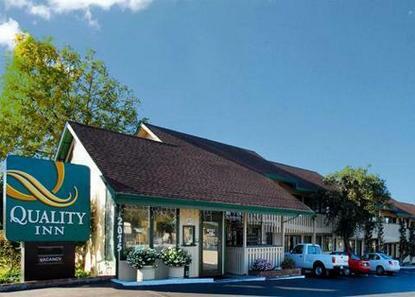 Quality accommodations in the heart of Monterey Credit Card Name and Guest Name MUST be the same. Verify Hotel Name and Address For Guest. Others in area. Pool and whirlpool closed for maintenance 3-10 December 2007.